This photo was taken at scrapyard in Prague - Vysocany after the war. It shows a Hotchkiss H-39 tank, probably of Schutzpolizei origin, used by Czech uprisers. 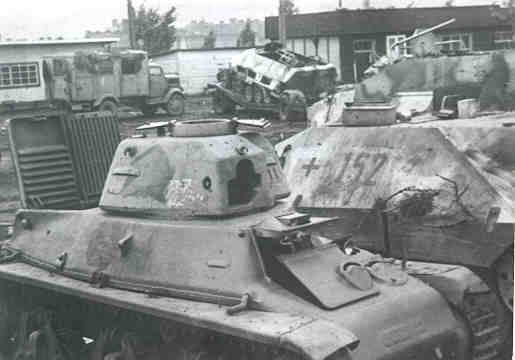 At right there are a Hetzer prototype and a Grille with 30mm MK-108 kanone, used by Kampfgruppe Milowitz.